Aaron Rogers was born and raised in New York. 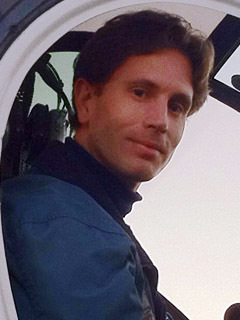 He received a BA in Computer Science from Cornell University, then pursued his longstanding interests in animation and storytelling. After completing "Ornaments" Aaron moved to Los Angeles and spent four years doing computer animation for television, films and video games. During this time he directed several notable actors such as Christopher Walken and Gary Oldman. He also did visual effects for "The Chronicles of Narnia" and "Monster House." Aaron currently lives in New York.